Lovely blog about my Nettle Workshop by Karen Barlow, one of the Workshopees! 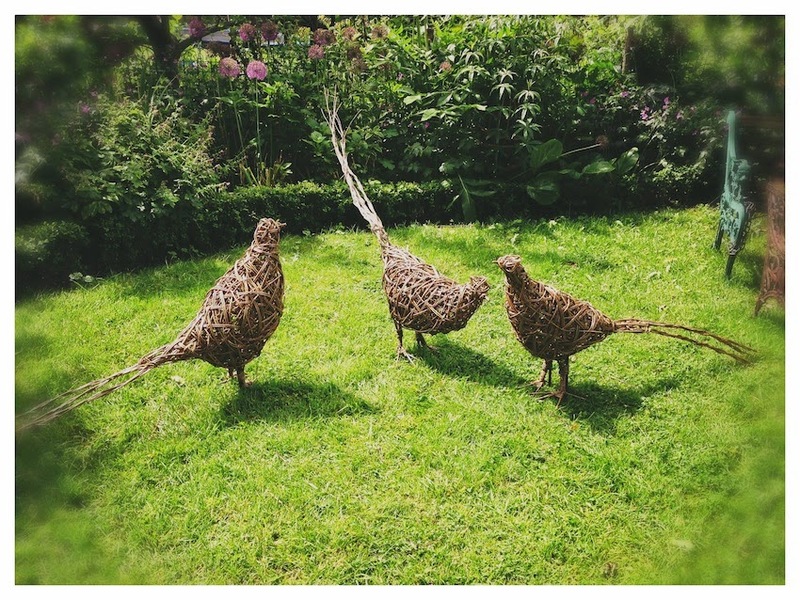 On a recent visit to Arley Hall Gardens where they have a small garden centre, I spied a gorgeous pecking chicken in the greenhouse, made of willow. 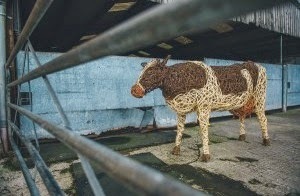 The chicken had been made by Juliette Hamilton, willow sculptress extraordinaire, who makes willow sculptures for all sorts of events, such as these cows that she was commissioned to make for this years Glastonbury Festival. Juliette runs regular courses, which are often themed to the seasons and teaches us lesser creative mortals how to make all manner of creatures from chickens, to dancing hares and stags heads. Yesterday myself and a friend went along to Nettle in Tattenhall Cheshire, to attend one of Juliette’s chicken willow weaving courses. Nettle is a beautiful florist and gift shop, housed in a lovely converted barn and was the perfect setting for getting inspired to make something for the garden. The day started with coffee and biscuits, gluten free very thoughtfully provided for me, and a meet and greet. The courses are kept small and intimate, so that Juliette can instruct as much or as little as each student requires and the chatter and laughter got louder as the day progressed and everybody got to know each other better. After a break for a delightful lunch of poached salmon, new potatoes and salad, followed by a gluten free chocolate roulade,beautifully made by Ros and her mum, we got back to the task in hand and before we knew it our chickens and cockerels were taking shape. My very creative friend’s chicken ended up plumb and resplendent, lets just say mine is work in progress and I came away with a bundle of willow reeds and instructions from Juliette on how to feed him up and make him a bit fatter but I love him, which is all that matters? Here he is pecking happily away in my garden, looking a bit more crispy duck than chicken? We had an amazing day, surprisingly we found it very relaxing and therapeutic and both agreed that we would be back for more classes. 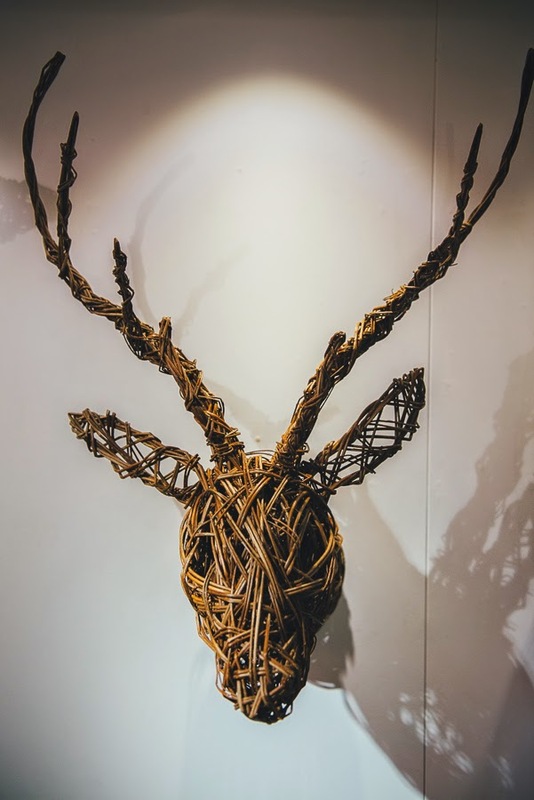 I think the stags head would look wonderful decking our hall at Christmas. Nettle also run Christmas wreath making courses and if you are interested, give them a ring early as they get booked up super quick.